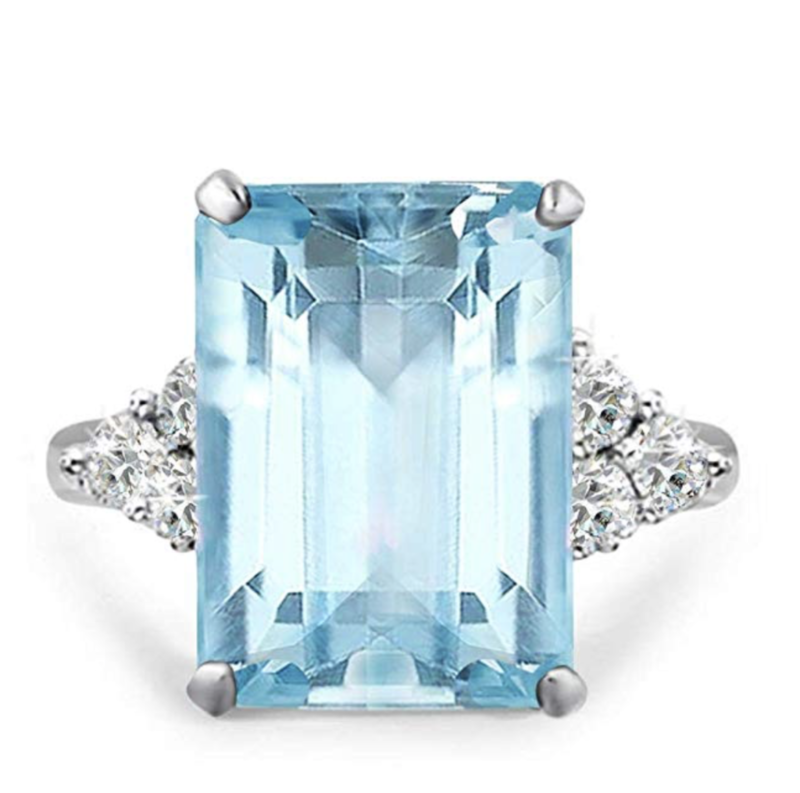 ‘Tis the season for holiday Christmas parties, seasonal soirees and festive engagements. 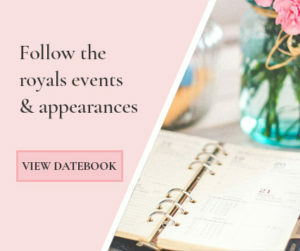 If you’ve got a special event this year, there’s no doubt you want to look princess perfect and who better to seek inspiration from the best of Buckingham Palace. 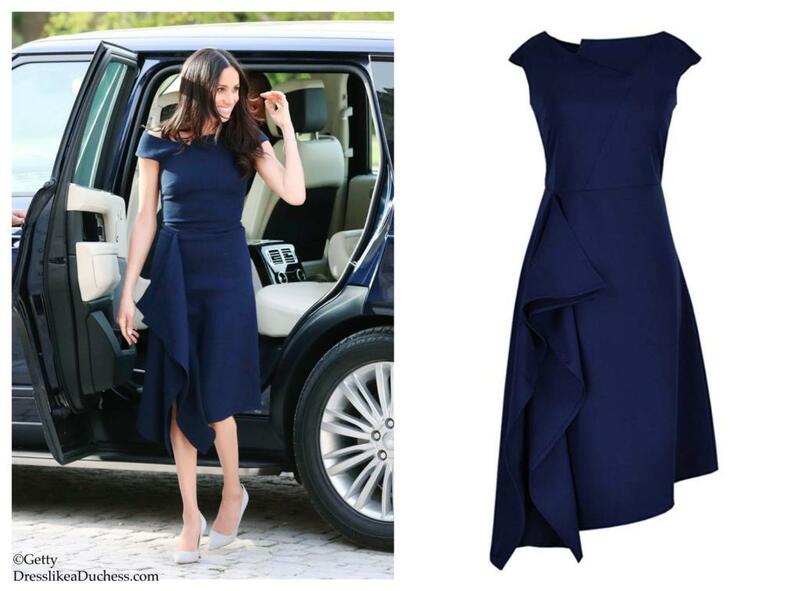 Meghan looked stunning on the day before the royal wedding in an asymmetric Barwick $1700 dress by friend Roland Mouret. 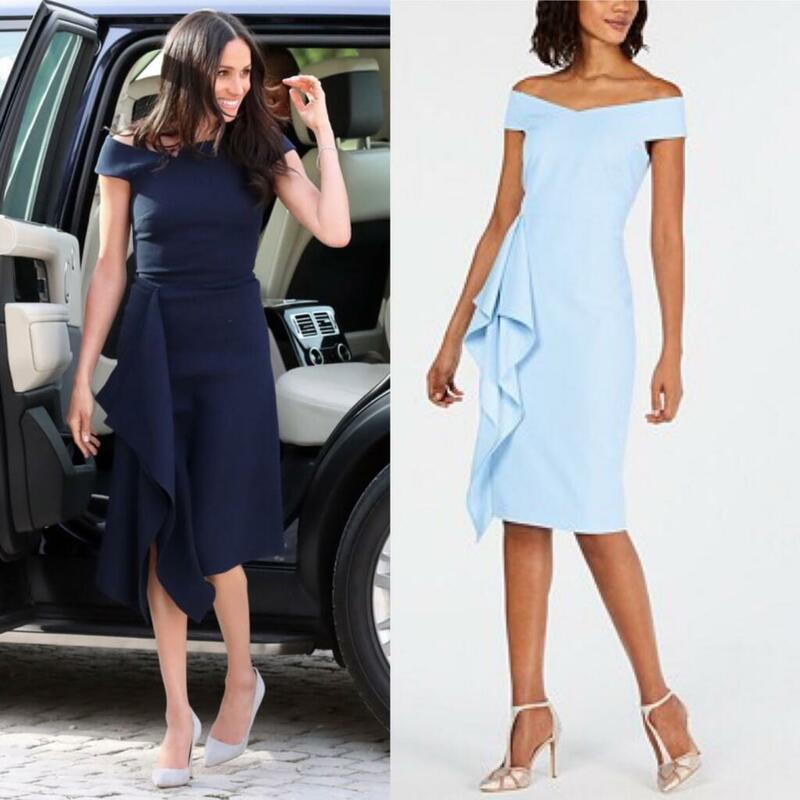 Featuring angled panels and a boatneck, the dress felt very much like Meghan’s signature style. 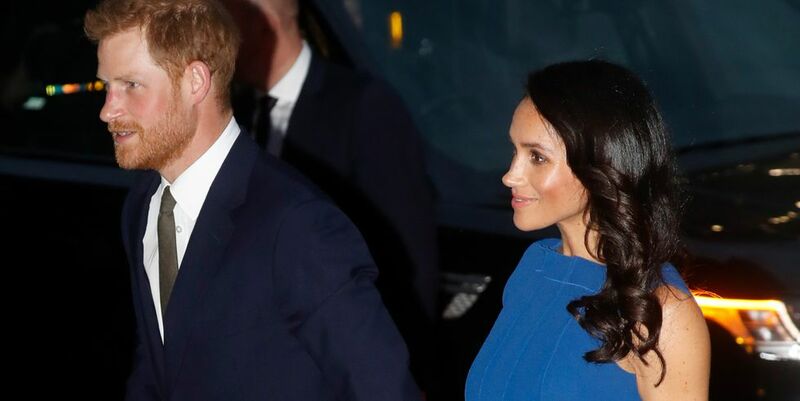 In fact, the look is such a favorite of Meghan’s that she’s gone on to wear a similar dress on two more occasions including on the royal tour and in Ireland. 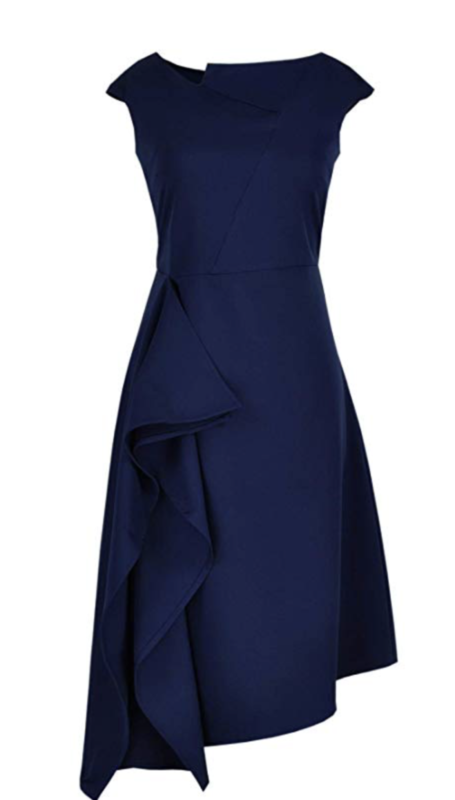 The waterfall handkerchief front dress would be perfect paired with sparkly earrings for a New Year’s party. 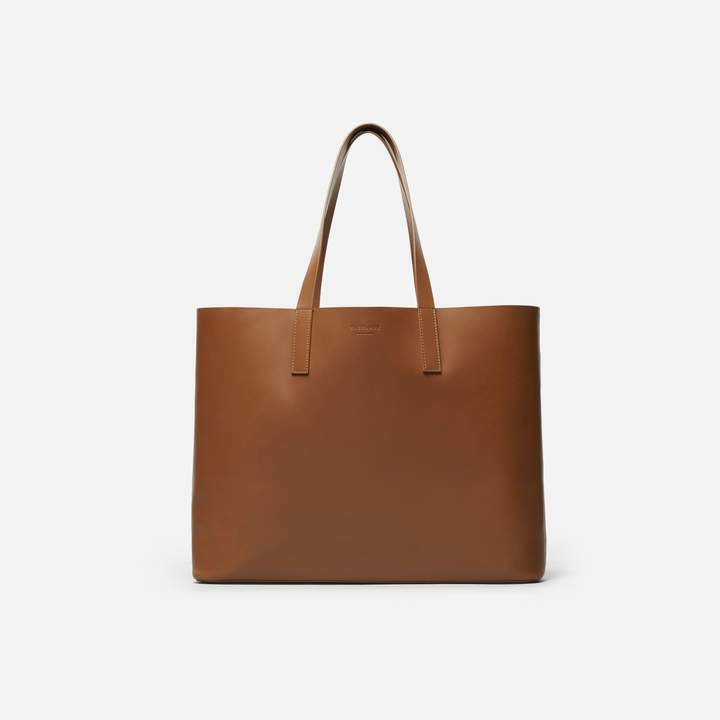 Get the style for a steal for less than $100. 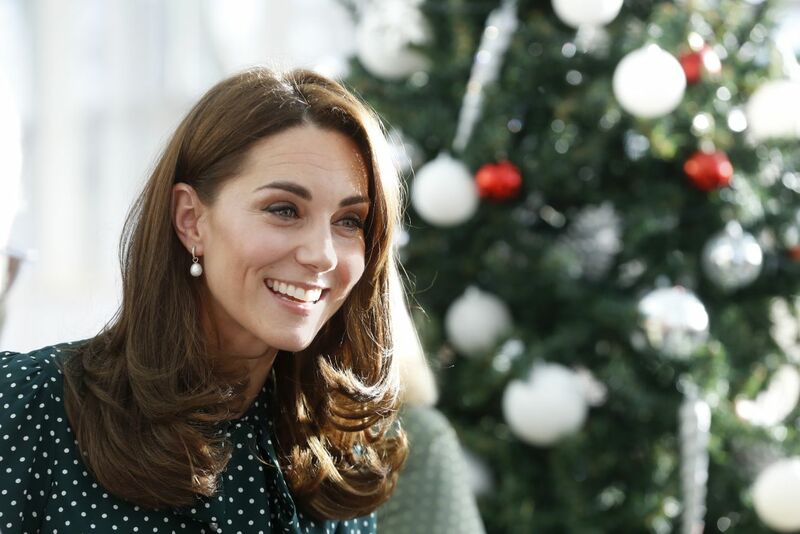 Kate Middleton has become a superfan of polka dot styles. 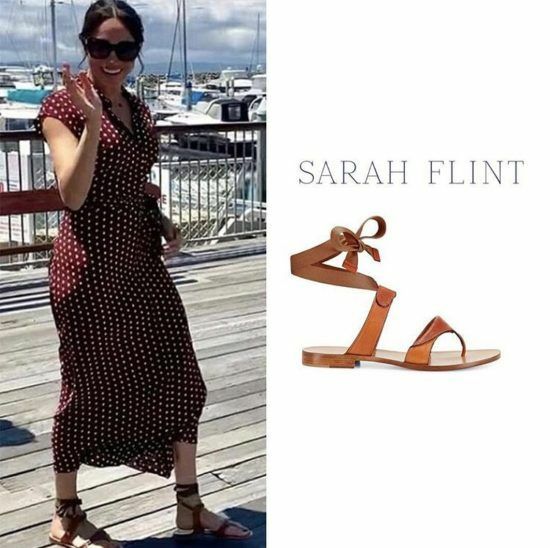 In fact, the Duchess of Cambridge is so enamored with the dotted midi style–she’s worn similar dresses on no less than three occasions this past year including to a Teen Hero Reception, for a stop at Evelina Children’s Hospital and for family portraits with photographer Chris Jackson. 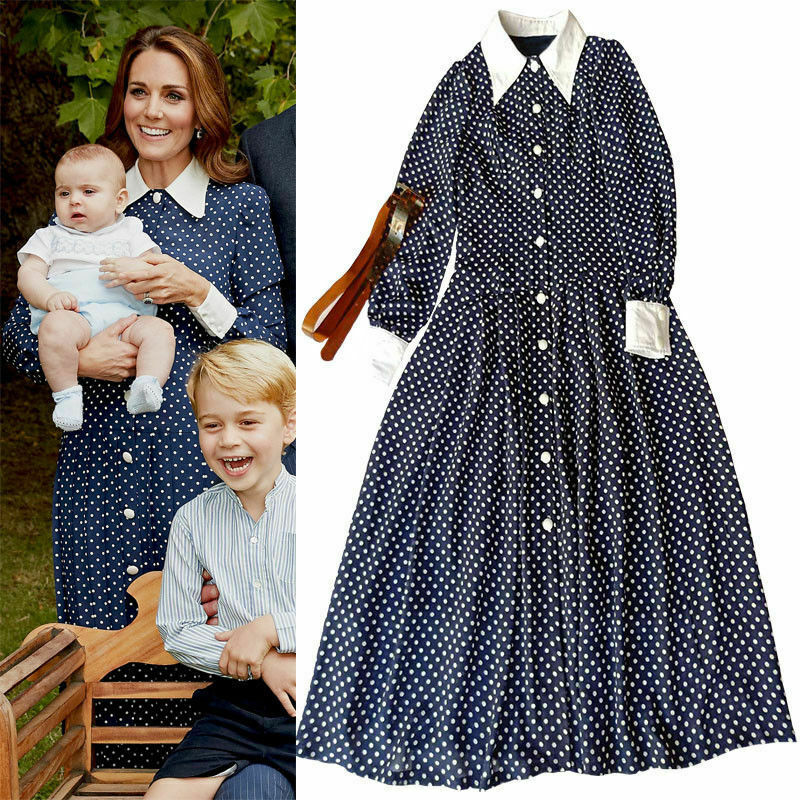 Polka dots were once a signature of Princess Diana so it’s not surprising that Duchess Kate would follow the trend. 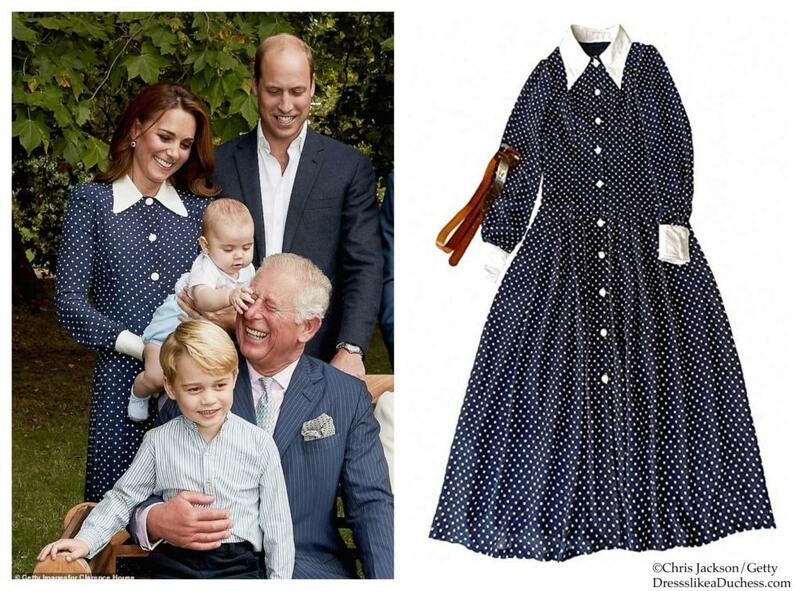 Kate’s Alessandra Rich dress cost a little over $2000. 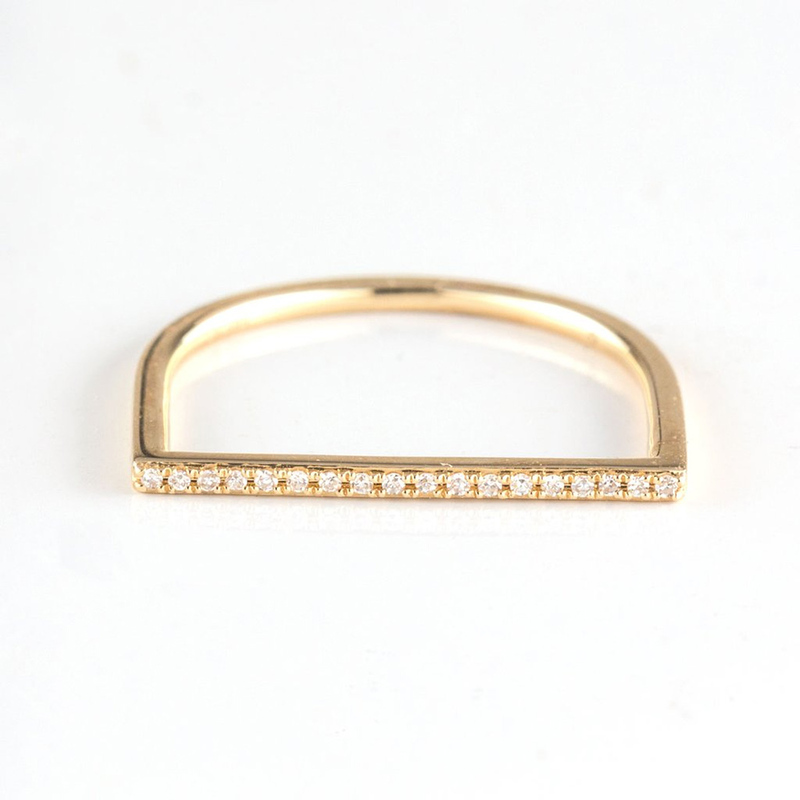 The style would look festive at a dinner party or family function over the holidays. 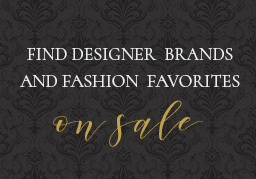 Get the look for less. 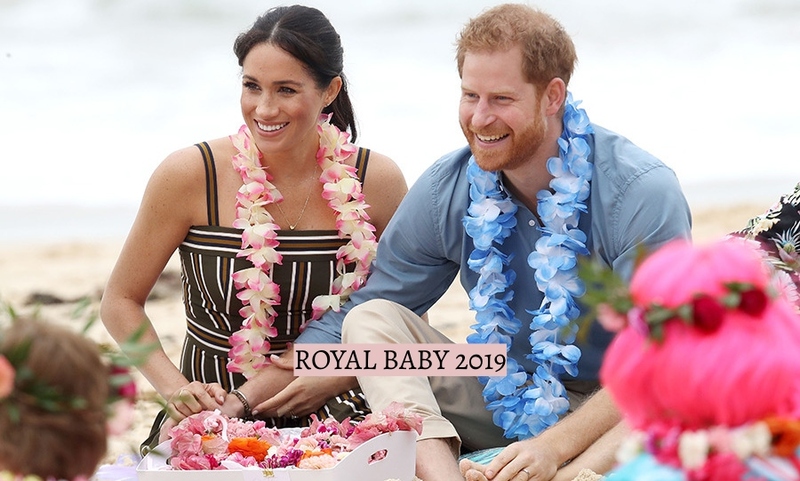 Duchess Meghan is responsible for reigniting many style trends from peplum tops to chic cool girl buns and ring stacks, she’s become a fashion force. 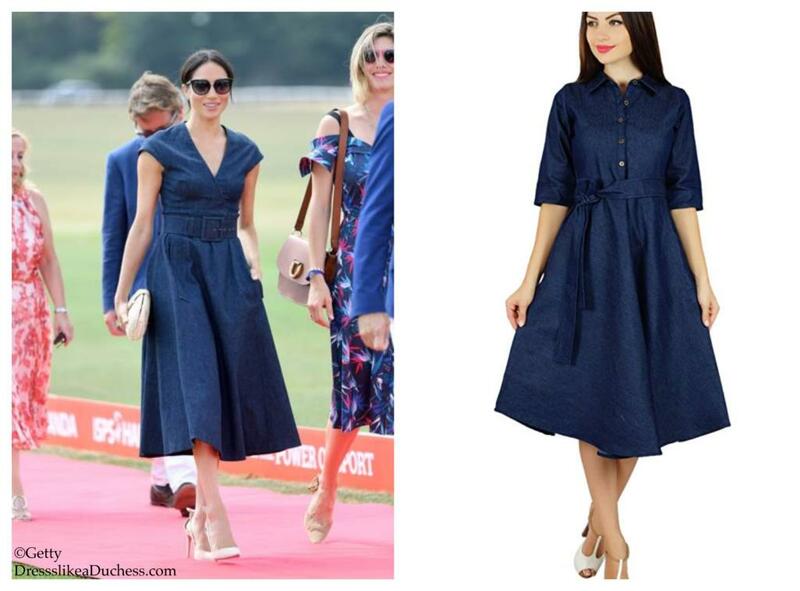 Once of her most surprising and sophisticated casual looks of 2018 had to be her denim polo Carolina Herrera dress. 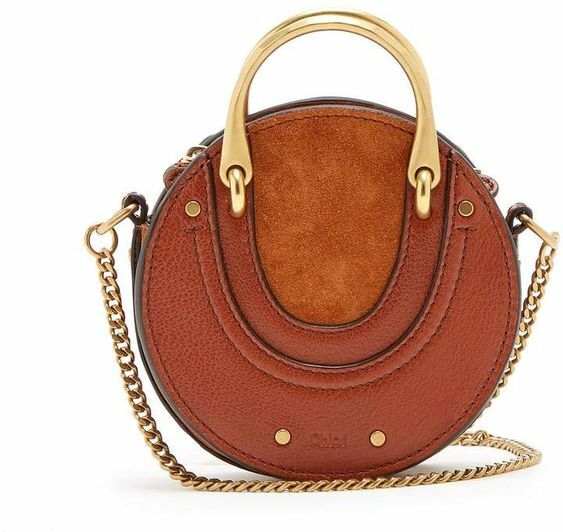 The understated but totally modern look gave Meghan the perfect hourglass figure with its retro minded silhouette while the classic denim felt fresh and surprising. 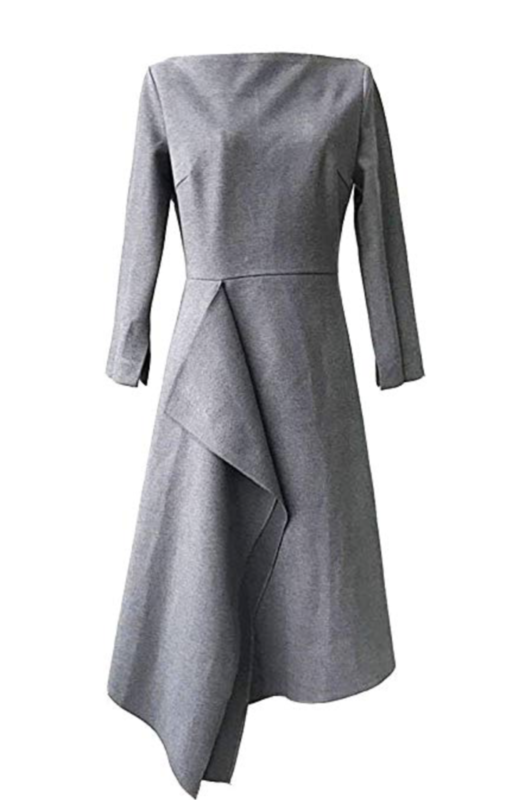 Paired with a crisp white cardigan and some suede heels plus a cool clutch and a red lip and this dress would work for any holiday gathering or winter outing. 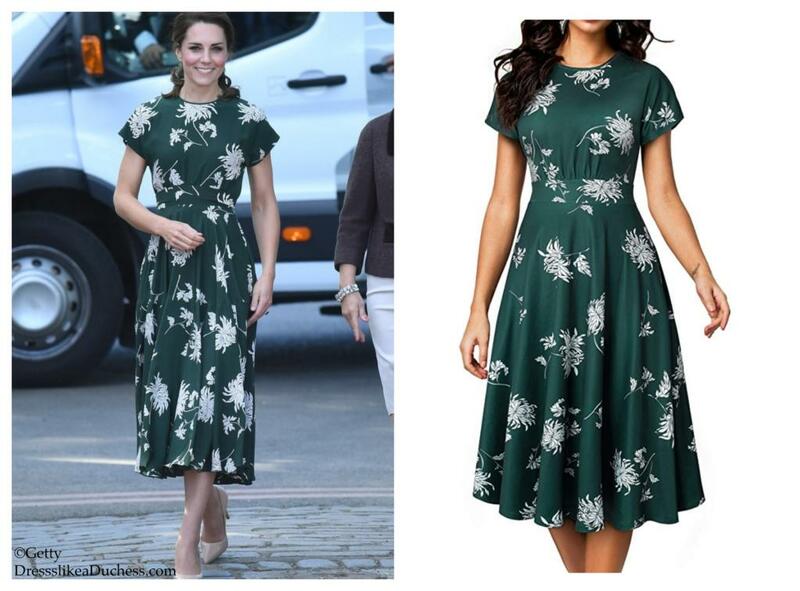 Kate Middleton was beaming in a dark green $2666 Rochas dress at the Chelsea Flower show in 2017. 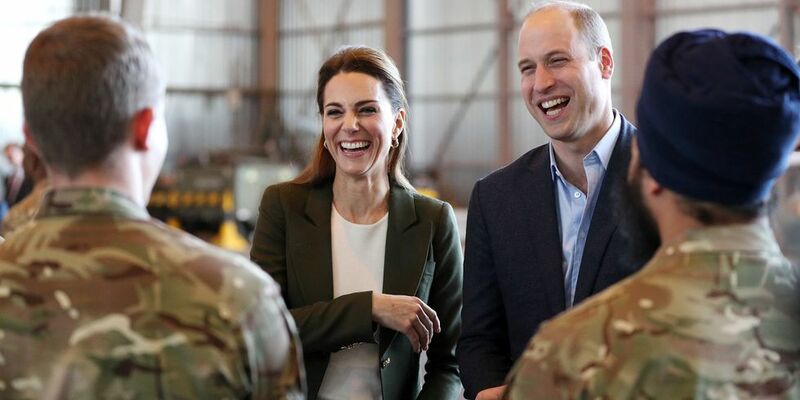 During the visit to the garden center, Kate was rumored to have even eaten a tomato off the floor! #downtoearthduchess. For the engagement, Kate looked like a green goddess in her midi dress made of silk crepe with an emerald and ivory print. 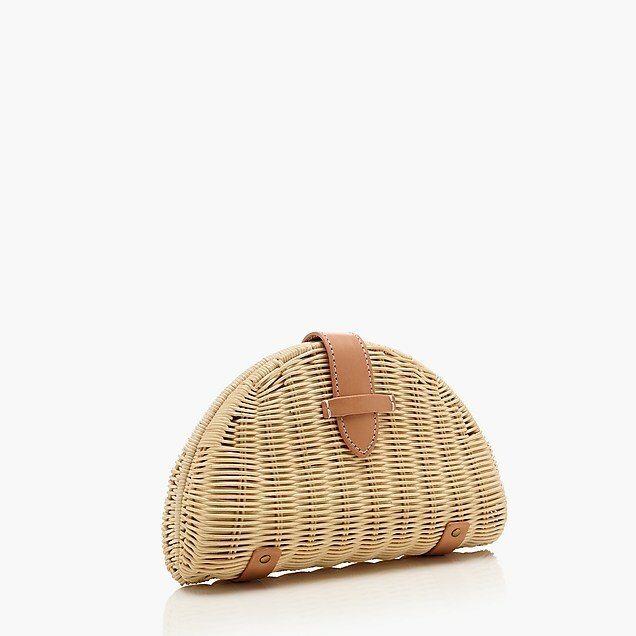 Find a similar style for much less! 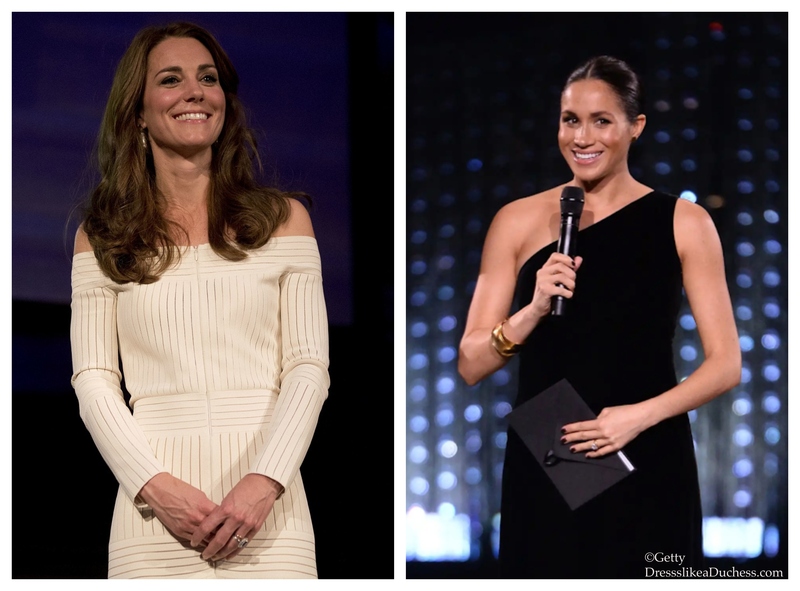 Meghan stunned at the British Fashion Awards in a one-shoulder bespoke velvet black dress by Clare Waight Keller for Givenchy. The mom-to-be looked immaculate in her LBD along with gold accessories, a sleek hair bun and dark nails. Perhaps one of her most exciting looks of 2018–the duchess rocked the stage in this couture creation. Get the look for much less. In perhaps one of her sexiest but still modest looks, Kate looked super chic in a white $1105 off-the-shoulder Barbara Casasola dress for a visit to the Natural History Museum in London in 2016. Paired with metallic accessories like a silver clutch, this stunning dress would be perfect for any winter wonderland engagement. 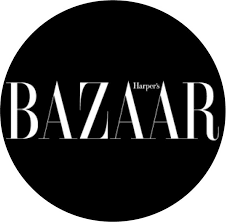 Shop the look for less. 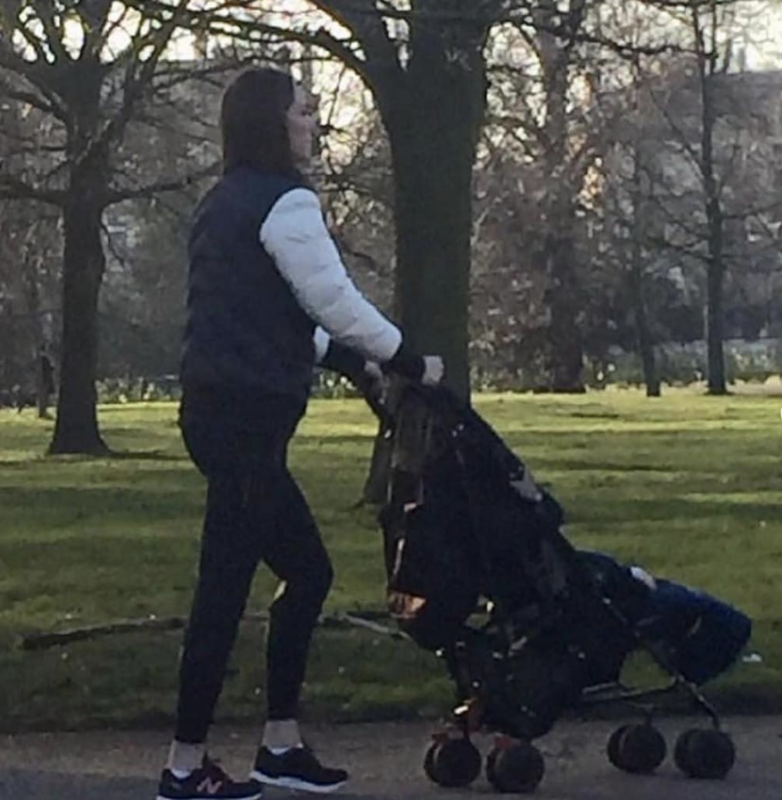 Will Pippa Middleton Attend the Royal Wedding?